You want to buy either Autel MaxiCom MK808 or MaxiDas DS808 and want to see the Autel MK808 vs DS808 match? Then you’ve landed on the right page! This review will go over the differences between these two models so you can choose the right one for yourself. Also, in the FAQs at the end of this review, you will see the comparison of related Autel scanners: Autel MK808 vs MX808 and Autel DS808 vs MS906. Can Perform cylinder cutout test and list misfire codes. All Systems and Service Functions. Bottom Line The Autel MK808 is for automotive professionals. Superior choice for those who diagnose car engines often. MK808 is designed for experienced enthusiasts and beginner mechanics. The MK808 is for automotive professionals. It’s definitely the tool of choice for people who need the deeper scans and advanced diagnostics it offers. The best part about the MK808 is its wide compatibility. In other words, it’ll work with every make and model of car and read almost any manufacturer-specific code. To be clear, the MK808 doesn’t just work with basic OBD2 codes. It also can read more advanced manufacturer specific codes from domestic, Asian, and European brands. This means that you can use it to perform an oil reset or read DPF/TPMS/IMMO/EPB/SAS codes. 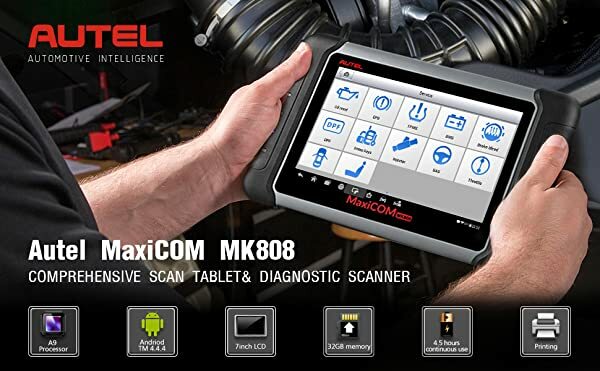 The MK808 is a fast, modern tablet scanner. It lets you work with a big, vivid touchscreen, and lots of power processes. Moreover, it is recharged faster than a normal OBD2 scanner. This means codes come up faster and the live data display is incredibly useful. Autel Maxicom MK808 is compatible with every car made after 1996 and can clear tricky manufacturer trouble codes. 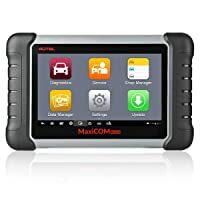 The Autel MaxiCom MK808 is marketed towards experienced car enthusiasts and mechanics. The incredible compatibility and ease of use make it a top choice for anyone working with cars professionally. 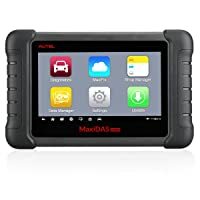 Autel Maxidas DS808 can work with fault codes, view live data, and even view manufacturer-specific engine sensor data. It can view what the ECU is doing and sensor output, too. The Maxidas DS808 is a slight difference. It focuses on working with engine and ECU diagnostics more extensively. The DS808 has full support for all vehicle electronics. It’ll work with fault codes, view live data, and even view manufacturer-specific engine sensor data. It can view what the ECU is doing and sensor output, too. Furthermore, the software of DS808 has plenty of extra features for professionals. You can easily view old data and manage customer information. Autel Maxidas DS808 offers deep diagnostics that make diagnosing engine problems a breeze. The Autel MK808 is one of the Best Scan Tools for Mechanics. It is the superior choice if you find yourself diagnosing car engines often. On the other hand, the Autel Maxidas DS808 offers deep diagnostics that make diagnosing engine problems a breeze. If you want to view live ECU data to get to the heart of an engine issue quickly, the DS808 is the right choice. Question 1. What’s the difference between Autel MaxiCOM MK808 and MX808? Answer: Autel MaxiCOM MK808 and MaxiCheck MX808 have the same hardware and offer the same functions. However, I highly recommend Autel MaxiCOM MK808 for its stability and reliability. Question 2. How different is Autel MaxiDAS DS808 from Autel Maxisys MS906? Answer: They are different in build and design. The hardware features are different, too. Autel MS906 is much faster than DS808. However, they have the same functions. I would recommend Autel MaxiDAS DS808 because its price is much lower than Autel MS906. OBDLink MX+ is a Bluetooth OBD2 scanner for iPhone, iPad, Android, and Windows devices that can diagnose your car and display error codes. 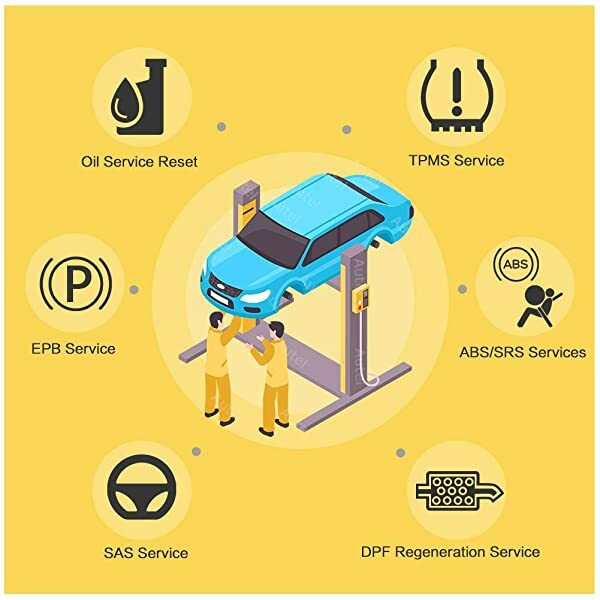 Do you know that you can run a quick check on your vehicle even on the go? Well, KOBRA KB30 is a basic code reader that can effectively check your car. The DS808 offers far more options than the MK808. It has way more coding possibilities than the MK808. The super strength of the MK808 is that it is very affordable and offers full car coverage, reads ALL errors from all components and clears them. Besides that it is blessed with *some* special functions coding, this is limited per model (not all coding functions available, if it is, there’s a minimum set) but also limited per brand (not all brands are covered). For the tablet-like Autel products, it’s a very capable entry level product and a breeze to use. If you need to diagnose all control modules and clear errors, this is what you’ll ever need. The DS808 can do the same tricks as the MK808. Easily. Plus, it has more coding capabilities, in fact it has the same capabilities as it’s bigger bro MaxiSys MS906 (note, NOT the MS906BT). Thanks for your valuable contribution to the review, Werner. The ds808 can clear all dtcs (manufacturer specific and obd2). Are data captured on a functional test, e.g. o2 sensor test, maf signal test, to name a few sensors test can be stored and printed? Sure, Leonardo. The Data Manager, in both MK808 and DS808, allows you to store, print and review the saved files. Not sure what you mean. Can you type the question in English, plz? The Accessories are free and include USB External Power Adapter, User Manual, Quick Reference Guide, Main cable, Carry case, and Mini USB Cable. But if you don’t want to get them all, please contact Autel sellers. So wait. The ds808 can’t clear all the codes that the mk808 can even though it is a better scanner? It can, adrian aiello. It can clear any codes. ds808 work with 2003 w220? Sure, Alex. Autel DS808 covers all the major makes and can offer deep diagnosis and testing on OBD2-compliant vehicles (made in 1996 or newer) from more than 80 U.S., Asian and European vehicle makes, including BMW, MERCEDES-BENZ (your 2000 w220 too), ACURA, AUDI, BENTLEY, BENZ, BMW, BUGATTI, CHRYSLER, CITROEN, DODGE, DAEWOO, FORD, FIAT, GM, GMC, HOLDEN, HONDA, HYUNDAI, INFINITI, ISUZU, JAGUAR, JEEP, KIA, LAND ROVER, LEXUS, etc. Hi! Can the DS or MK works in brazilian cars? Does your car supported by OBD2 Protocols? What’s your model?